It doesn’t feel like very long ago at all that I was gushing over a promising teen indie shoegaze outfit from Osaka called Whisper Voice Riot. 2015 was a great year for the band, who established themselves as one of the promising young bands to keep an eye on – and not just in the indie scene. It doesn’t feel like very long ago at all that I was gushing over a promising teen indie shoegaze outfit from Osaka called Whisper Voice Riot. 2015 was a great year for the band, who established themselves as one of the young bands to keep an eye on – and not just in the shoegaze scene. They put out their debut EP, Before the Morning Cleaves Our Night, last fall, appeared at Total Feedback and Kyoto Shoegazer, and seemed to be picking up steam. 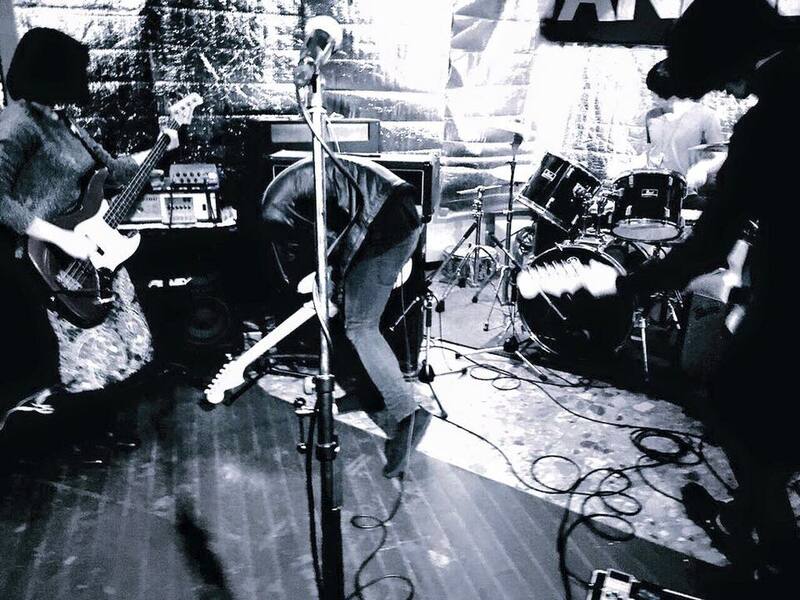 It was therefore a bit of a shock that this past spring the band announced that their appearance at the 2016 Kyoto Shoegazer fest would be their last. The news was pretty sudden, and I was personally really disappointed to see such a promising young band call it. There was some consolation, however, upon hearing that three of Whisper Voice Riot’s members, including frontman Taito, would continue making music under a different name. The direction of the new project, called Mississippi Khaki Hair, was a bit of a mystery, but one thing was made perfectly clear: this wasn’t going to be a shoegaze band. Mississippi Khaki Hair got right to gigging in early May and this past Friday released a 3-song demo EP. They released two-thirds of the EP a week or so in advance on Soundcloud, and my first thought was that it wasn’t a massive departure from some of the dancier WVR stuff. There is much more of a groove to the new project, though, but it didn’t seem different enough to necessarily warrant a completely new project. “True Love” is a romantic, synth-laden blend of new wave and shoegaze, while “Phone Call” has a distinctly Strokes-y vibe to it, with overdriven vocals and prominent guitar lead paced by a consistent four on the floor beat. “Silence Like A Shout” is a bit more along the lines of the latter – another lo-fi indie rock dance track. This is just the beginning of Mississippi Khaki Hair as a band, and, just like WVR, they’ve gotten off to a pretty fast start. Physical copies of their demo EP are only available at gigs at the moment, but there are plans to release it digitally on Bandcamp and potentially sell physical copies online as well. In the meantime, the whole thing is up on Soundcloud. It’s still a demo, but you can get an idea of what the band is going for, and it’s a lot of fun. My personal favorite track – it’s probably not a coincidence that it’s also the song that most resembles WVR’s music – is “True Love”. You’ll be wanting to keep an eye and an ear open for these guys, so be sure to follow them on Twitter and Facebook.